Spain has the most land devoted to vineyards in the world and wine is a fundamental part of the daily meal and the Spanish culture. As gastronomy tourism continues to expand it goes hand-in-hand with wine tourism, allowing travelers to explore cultures, landscapes and the gastronomy while discovering new territories. Wine tourism gives visitors the opportunity to appreciate the land and its traditions while promoting economic growth in wine producing regions. 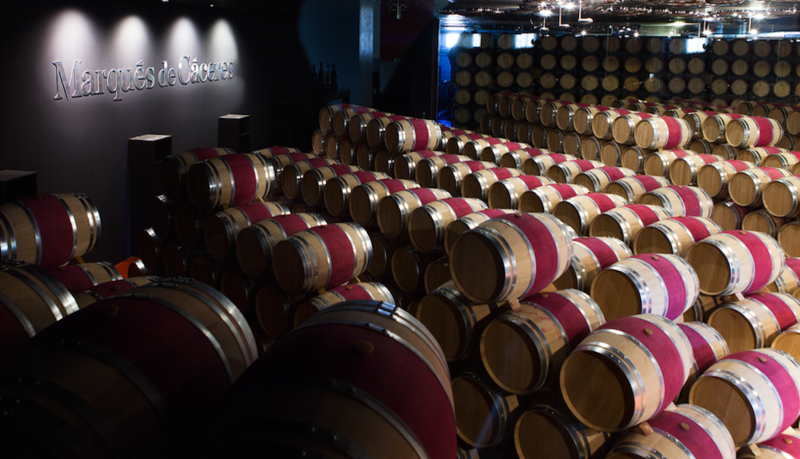 One of the most well-known Spanish bodegas is Marqués de Cáceres, located in the region of Cenicero in La Rioja Alta. Founded by Enrique Former in 1970, his passion for wine derived from being part of five generations of wine families and used his knowledge acquired in France to consistently make high-quality wines. The technology used and the continuous innovation earned Marqués de Cáceres its place as one of the leading Spanish export wines and currently present in over 130 countries world-wide. Marqués de Cáceres will be exhibiting at FIBEGA Miami 2019 and presenting their Wine Tourism that have been operating for the past five years. Their wine program has been selected as a finalist for the FIBEGA Gastronomy Tourism Awards in the category of Enotourism Excellence Award in recognition of this thriving initiative.